Living in Canada, our daily news diet of late consisted of mindboggling sexual harassment and assault allegations against a public broadcaster’s radio star, topped only by allegations of sexual harassment by and against members of parliament and a discovery that our esteemed legislature is a place where anything goes. 1. There were no carbon monoxide detectors or the detectors that were installed were malfunctioning. We all know that you need to have a carbon monoxide detector to alert you of dangers that you might not be able to see, hear or smell. In the same way, organizations require tools to help prevent and surface harassment issues. These come in the form of strong organizational values, solid harassment policies, and a respectful culture that deters harassing behaviours. Unfortunately, the carbon monoxide detectors in these two cases fell short. Canadians to their horror discovered that the nation’s leading institution (the very one that crafts all those great laws about human rights, diversity and equality) does not even have a harassment policy, let alone known procedures for complaints or ensuring due process. In other words, no carbon monoxide detector was installed in the first place. In the case of CBC’s anchor Jian Ghomeshi, information revealed thus far suggests that despite reports that he reigned with an abrasive style (now described by the CBC’s executive vice President as “difficult to deal with, demanding, volatile, moody, people felt under a lot of pressure“), only minimal action was taken to fix things. Complaints were reportedly suppressed at lower levels and the organizational values were not sufficiently known nor lived. In other words, carbon monoxide detectors were in place, but they malfunctioned. 2. When the carbon detectors sounded the alarm, no one took action (or they took the wrong action.) The whole point of having a carbon monoxide detector is to enable you to take decisive action once the alarm sounds. In both cases here, the alarm sounded but people did nothing, or they froze, or they took action that did not reflect the gravity of the situation. On Parliament Hill, as we now know, if you were an attractive newcomer (male or female, heterosexual or gay, assistant or Parliamentarian) with little power on the totem pole, you could expect to be harassed or even assaulted. According to Sheila Copps, former deputy prime minister who just came out with her own personal revelation of assault, alleged offenders were long-standing MP’s, officers of Parliament and even the Speaker. Even in the absence of official detection mechanisms in the form of proper policies, all those bystanders and decision makers did possess internal alarm detectors (what I refer to as inner canaries) that alerted them when the lines between decency and indecency have been crossed. Yet they did nothing or little to change the culture or to attend decisively to individual cases. And back at the CBC, the program’s executive producer allegedly heard complaints of all sorts. However observations and complaints about the program’s culture and the host’s behaviours were allegedly mishandled, or dealt with half-heartedetdly or in a futile fashion. In both cases, the carbon monoxide detector was squealing but people were allowed to remain in the danger zone. This person is an important player – an indispensable star of some sort. We can’t touch him or her. This has always been the culture here. It will never change. This is so outrageous, I just can’t believe it could be actually true. It’s complicated. There’s always two sides to the story. The workplace isn’t for sissies. People need to learn to fend for themselves. If we take action, it could backfire. As an organization, what do you need to do to have reliable carbon monoxide detectors in place and have the ability to act when and if they sound the alarm? Develop meaningful organizational values – make sure “respect” is one of them – and build them into your organizational DNA. Ensure your managers are versed in the organizational values and know how to implement these in all that they do or oversee. Put in place strong respectful workplace policies. Require managers to model the desired behaviours. Adopt a philosophy of taking action even on seemingly small problems – fixing broken windows swiftly minimizes the chances of bad behaviours in your neighborhood. Take complaints seriously, act immediately. Evaluate people’s conduct, decisions and performance in relation to all the above. 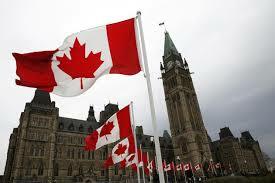 I predict a vast change in our landscape – nothing will be the same in Canada post-Ghomsehi and Parliament Hill. Organizations will be required to demonstrate due diligence and accountability like never before. Let’s make sure we turn this moment into a change we all can be proud of for generations to come. The time to act is now and at Bar-David Consulting we are committed to helping you. If you wish to prevent or deal with harassment and incivility in your organization, please do not hesitate to contact us anytime, or check out how our services can be helpful.